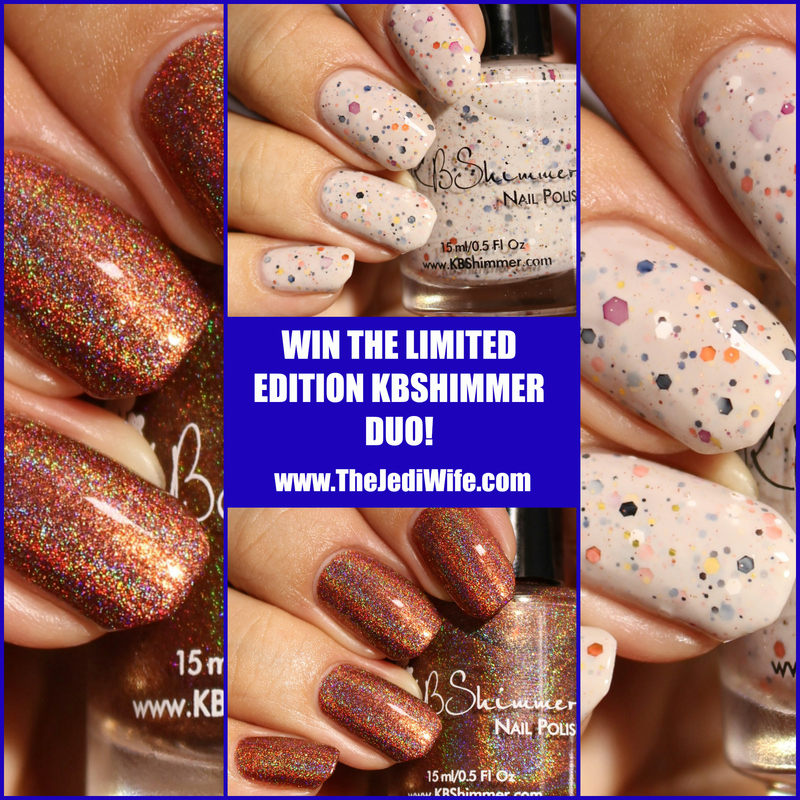 Giveaway: Win the KBShimmer LE Duo Created for my 5th Blogiversary! Greetings, dear readers! I'm keeping this post short and sweet- it's all about a giveaway! I have a few sets of the KBShimmer duo created for my blogiversary that I shared earlier this week here that I want to giveaway. I have two separate giveaways going on- one here on my blog and one on Instagram, so that's 2 different ways to win this fabulous set! I Never Wood Have Guessed and It's Petrifying will be available for purchase at The Indie Shop event in Atlanta March 11th as well as on the KBShimmer website with the spring launch in limited supply, but here is your chance to get them earlier. Open internationally to participants age 18 years and older, please! Enter in Rafflecopter below. Good luck! I Never Wood Have Guessed is my favorite but I do love a good KBShimmer cruelly glitter bomb! I Never Wood Have Guessed is amazing! They really both are gorgeous though! It's Petrifying! Love glitter crellies! I never wood have guessed "wood" have to be my favorite of the 2. It's Petrifying!!!! Love KB. I've been addicted to her polishes for 2 years now. Absolutely love this crelly glitter. Thank you for this opportunity. I Never Would Have Guessed is my Faveeee! Oh I am a Holo Ho... so I must go with I Never Wood Have Guessed but both polishes are gorgeous!! Definitely "I Never Wood Have Guessed"! My favorite is I Never Wood Have Guessed. Definitely I Never Wood Have Guessed! Hard to pick a favorite, as I love both of them. But I think I Never Wood HAve Guessed is my favorite-- such a unique colored holo! I love them both, but I'll go with Never Wood Have Guessed. My fave is I Never Wood Have Guessed! I love them both! They are both so unique!! I love them both, they are both so unique!! They both look awesome but I'm a sucker for anything holo so "Never Wood Have Guessed" it is! Happy blogiversary! Both or beautiful colors but I think my favorite would be "Never wood have guessed" it looks amazing! Both are beautiful colors but I think "Never Wood Have Guessed" would be my favorite. I never wood have guessed! I Never Wood Have Guessed , stunning color, love it. I Never Wood Have Guessed! I love both though! I Never Wood Have Guessed but not for the holo, I just love that shade. It's in the same family as the first bottle of polish I ever purchased for myself many years ago, OPI Cheyenne Pepper! Because I adore holo's and I do not own a brown one yet, I Never Wood Have Guessed is my favourite of this duo. I Never Wood Have Guessed is my fave! It's absolutely stunning! I Never Wood Have Guessed is my favorite! Congratulations on this milestone! 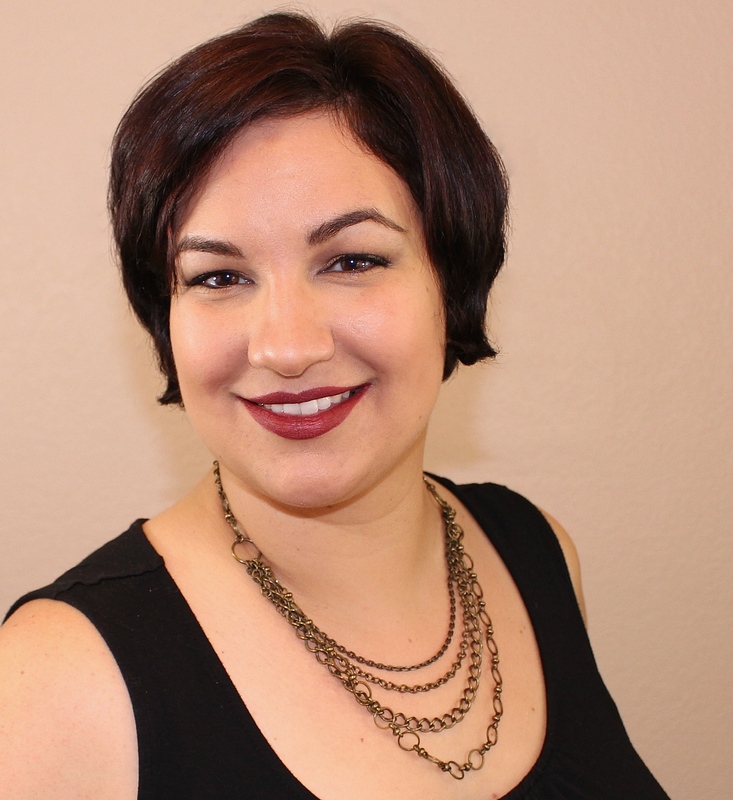 Congratulations on your blogaversary! Petrified is my favorite! It's Petrifying is my favorite!! Cute! It's Petrifying is my favorite! They are both beautiful, but I think I would pick It's Petrifying because I don't have many crellies and I know KBShimmer is famous for them. I really love I Never Wood Have Guessed, it's so pretty and sparkly. Thanks for the awesome giveaway! You can't make me chooooose!! Both are gorgeous. But I would have to pick it petrifying. It just makes me happy looking at it (might be that it kinda looks like a jar breaker. I like It's Petrifying the best. I Never Wood Have Guessed is my favorite. I Never Wood Have Guessed looks awesome! I Never Wood Have Guessed is my fav! My fave is It's Petrifying. They are both gorgeous colors but my favorite would have to be the It's Petrifying! I love them both, but my favorite is "I Never Wood Have Guessed"
I think my daughter might say Petrified would be a favorite. I love both, but I'd make the I Never Wood Have Guessed my #1! My favorite color from this duo is the It's Petrifying. Thanks for the chance! Never wood have guessed is pretty. I love the I Never Wood Have Guessed !! I like the Oh My Ganache! I like best the It's Petrifying. I love the It's Petrifying. Very pretty. My favorite is I Never Wood Have Guessed. So pretty. I really like the I Never Wood Have Guessed color. Very beautiful colors. I love I Never Would Have Guessed the best though. My favorite is "It's Petrifying", thanks! I love a lot of them! One of my faves is the Sweet Devotion! My favorite is I never woodhave guessed. I Never Wood Have Guessed is my favorite. Thanks! I like I never would have guessed.